A short list of top places for commercial real estate in South Florida. Many real estate investors seem to have got a major envy-on for South Florida right now, whether that’s commercial real estate investments or from international buyers. Florida is the land of beaches, sunshine and real estate speculation. To me, South Florida has always been a rising star among the world’s best places for real estate investing. International investments in South Florida alone reached $913 million during the first quarter of 2015. The region has recently been included in CBRE’s top 10 metropolitan areas for commercial investments. 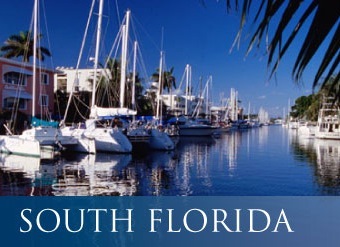 Here is more information on South Florida’s best places for real estate investing. Pine Hills is located just west of Orlando. The Pine Hills area was once a subprime lending practices target during the housing boom which had led to 4,000 foreclosure filings between 2008 and 2010. It is one of Orange County’s largest and oldest neighborhoods. The Pine Hills area has witnessed a substantial 62.5% growth from 2009 to 2012 in its population. The board of county commissioners created the Pine Hills Neighborhood Improvement District in December 2011, to redevelop new business and entrepreneurial opportunities. Today, there are major commercial real estate developments such as Silver Star and North Pine Hills crossroads converting into a vibrant new town center. The retail real estate market is booming with new construction in Palm Beach County. Russell Bornstein, senior vice president at CBRE in Boca Raton stated that the market is strong and getting stronger. In the second quarter of 2015, 149,413 SF of new inventory was delivered in the Palm Beach County Retail Market. Collier’s 2015 Retail Market Snapshot Report indicates that a healthy mix between new deliveries and leasing activity should be established by the end of the year. The report listed notable deals in the area including Clarion Partners purchase of the Palm Beach Outlets, located at 1801 Palm Beach Lakes Blvd, for $278,437,646 ($605 PSF). Weingarten Realty Investors purchased the Wellington Green Commons (2605-2665 State Road 7), located adjacent to the Mall at Wellington Green, for $53,549,167 ($466 PSF) and Best Buy entered into a new 10-year, 59,500-SF lease at 20540 US Highway 441 in Boca Raton. Parkland is an affluent city in Broward County, boasting nine parks and recreation facilities. The city experienced a 9.4% growth in population with a 9.7% increase in employment compared the rest of Florida. This year, a commercial development group in Miami purchased a vacant property in the city out of foreclosure for $8.5 million. Banif Finance (USA) Corporation plans to develop a Wawa convenience store and senior housing. Wawa has been seeking out properties in the South Florida are to develop dozens of its gas stations which have freshly prepared food stores. The Parkland development is Wawa’s fourth confirmed location in Broward County. You wouldn’t be surprised that South Florida ranks 7th for global real estate investments. South Florida made it into the list for the first time since the global financial crisis. The region’s housing prices, which peaked in December 2006, are beginning to recover after the Great Recession. This indication is a positive trend, sparking renewed interest in investing in the state’s real estate. According to CBRE’s report, the first half of 2015 generated close to $407 billion in worldwide commercial real estate investments, of which $7.7 billion was from South Florida. The United States, United Kingdom and Germany are the largest commercial real estate investment markets globally. The report indicated that a combined total of $301 billion USD was transacted in these three countries in the first half of 2015. This leaves the region already in among top places worldwide. And yet Miami/South Florida was followed by Tokyo, Boston, Atlanta and Dallas. Orlando, Florida ranked 19th on CBRE’s list. New York was ranked first, followed by London, Los Angeles, San Francisco, Chicago and Washington. I still believe South Florida and the United States commercial real estate market has always been lucrative for real estate investors because it is substantial and a good bet for long-term investments. Foreign investors seem to get it, most have been strategically investing in United States commercial real estate, to which I have witnessed in the past years that they are now becoming a major player in this space. When I read that, for example, gateway regions like South Florida, New York and Southern California global investments have increased to $41 billion in 2014, which accounts for almost 11 percent of all investment in United States real estate land assets, I feel that much like their American real estate investors, global-based investors will continue to be searching for commercial investment opportunities in the South Florida region that have strong risk-adjusted returns. These are my insights on South Florida and some of its best real estate investment spots for this year. South Florida is indeed one of the best places to uncover these opportunities. enjoy!